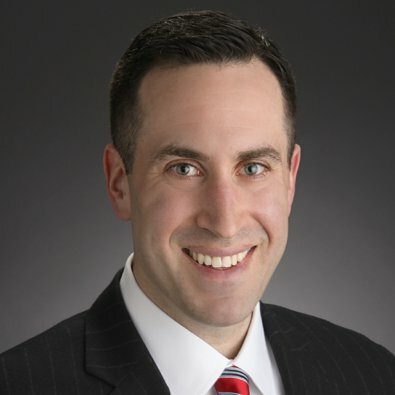 Chad Richman, a Partner in the Real Estate Practice Group, is a deal-driven legal strategist and problem solver for prominent real estate developers, owners (including REIT’s and funds), tenants, and lenders (institutional and specialty) in the Chicago area and across the nation. His practice routinely involves acquisitions and dispositions, leasing, venture structuring, construction, and complex financing across a wide range of real estate asset classes, including multi-family apartments, office buildings, shopping centers and mixed-use projects. Having participated in his family’s real estate development projects from a young age, Chad is mindful of the challenges and time constraints facing real estate businesses and has a deep understanding of the market and best practices for ground-up and value-add development and investment, as well as office and retail leasing. He prides himself on his ability to effectively and efficiently close transactions on fair and favorable terms for his clients by pushing negotiations along the critical path from “term sheet to exit.” He is recognized for being detail-oriented, dynamic, passionate and creative in his approach. Outside of the real estate sector, entrepreneurs across industries ranging from conventional products and services to cutting-edge technology rely on Chad as their trusted business advisor to provide forward-thinking guidance and down-side legal protection on a spectrum of day-to-day operating and financing issues, in particular with respect to early-stage equity raises and commercial debt facilities. He has guided the accelerated growth of a technology-based startup from seed capital to “unicorn” status and beyond. Chad graduated first in his law school class and practiced law at one of the largest law firms in the world. He has advised on real estate transactions scaling over $20,000,000,000 in size. Prior to practicing law, Chad acted as a principal overseeing the re-development of a mixed-use high rise in the “Central Business District” of Chicago and served as a judicial extern to the Honorable Ronald A. Guzman in the U.S. District Court for the Northern District of Illinois. Representation of private multi-family REIT and affiliate fund in acquiring approximately 10,000 "work force" apartment units across multiple states in over 100 separate acquisition transactions. Representation of nationally recognized financial services company tenant in connection with custom "build to suit" ground-up corporate headquarters lease and leasing of approximately 15 other U.S. offices. Representation of regional real estate family office in $50 million of mezzanine, Fannie Mae and Freddie Mac permanent re-financings secured by 5 locations (approximately 600 apartment units) in multiple states and conversion of tenants-in-common ownership structures to limited liability company ownership structures in connection therewith. Exclusive counsel to 21-floor high-rise mixed-use landlord in the “Central Business District” of Chicago for all legal matters (including, but not limited to, leasing, financing, operating, collecting, and corporate structuring) for over a decade. Representation of Chicago neighborhood multi-family developer in connection with the full development "life cycle" of 9 separate notable apartment and mixed-use projects valued in excess of approximately $100 million from initial joint venture documentation, acquisition, construction financing, and development to stabilization and permanent financing/disposition. Representation of top-tier real estate developer in the formation of a joint venture with an emerging real estate crowd-funding platform involving an approximately $100 million development of an international brand boutique hotel in a high-density urban area of Chicago. Representation of private multi-family REIT and affiliate fund in warehouse financing and systematic FNMA and CMBS permanent financing vehicles in excess of $100 million. Representation of financial technology company in connection with a $500 million receivables based credit facility from a specialty lender. Representation of New York-based national real estate developer in the acquisition, long-term “absolute-net” master lease, partial third-party sublease, and financing of a substance abuse treatment campus consisting of six buildings in West Palm Beach. Representation of leading global alternative investment firm in the disposition of a $47 million hotel portfolio consisting of four separate nationally branded hotels in the San Francisco Bay Area. Representation of estate and trusts following the sudden death of developer/sponsor in guiding succession of business and real estate portfolio including coordination with lenders, outside investors, in-house personnel, and other adverse third parties to transition operations, maximize legacy value of assets, and resolve competing interests of heirs. Representation of multiple owners of urban ground-floor retail and suburban “in-line strip” malls for conventional bank debt refinancing transactions and leasing deals with tenants of all types and sizes, ranging from emerging restaurant groups in urban locations to big-box anchor tenants in suburban locations. Representation of real estate developer in connection with its acquisition of a tenancy under a long-term ground lease with a state university for laboratory use including the negotiation of taxable industrial municipal bond financing and bank financing exceeding $16 million. Representation of regional bank in construction and bridge mortgage financing originations for specialty circumstances involving particularly complex or unique real estate lending situations. Representation of various condominium developers in unit-sale contract drafting, negotiation and administration for 3 large-scale high-rise condominium projects in Chicago. Moderator, "Chicago Opportunity Zones and 2019 Forecast," Bisnow Chicago (January 24, 2019). Moderator, "Beyond The Bones: Future-Proofing And Creating Value In Repositionings," Bisnow Chicago (July 25, 2018). Moderator, "Development, Construction, Management, & Financing Trends," Retail & Mixed-Use Summit Presented by REJournals (September 7, 2017). LIBOR panel banks and regulators are working on a plan for a transition to alternate benchmarks by the end of 2021.